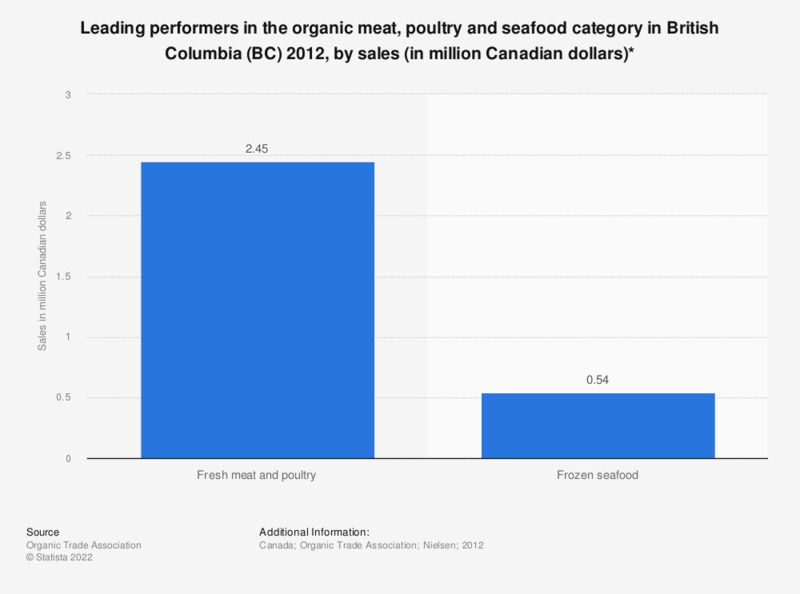 This statistic shows the leading performers in the organic meat, poultry and seafood category in British Columbia (BC) in 2012, by sales. According to the report, sales of organic fresh meat and poultry in the Canadian province of British Columbia amounted to approximately 2.45 million Canadian dollars. * Does not include certified organic seafood in the fresh case. Mainstream retail sales of organic products, including grocery banners, mass merchandisers and drug stores.